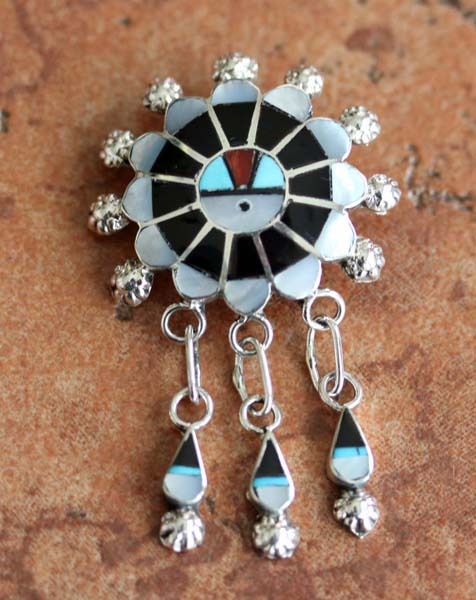 Zuni Native American Pin/Pendant. It is made from sterling silver and multi-stone inlay. It can be worn as a pin or a pendant. It is 2" in width and 1 1/4" in length. It is signed FC and Zuni. This item comes with a certificate of authenticity. Each shipment comes with a free gift box!! !